Article marketing is an ideal way to improve your website traffic without expending too much energy. All you need do is to write a few decent articles, and your traffic will increase significantly. The writing must be relevant to the topic or niche of your website, or at least the page that you intend to direct traffic towards. That is one tremendous advantage that article marketing has over most other traffic building programs: you can direct the traffic to whatever page on your site you wish. This is done by means of your author’s resource box, that is an area set aside by most article directories for a few words about yourself and a link or two back to your website. That link need not be only to your home page, but can be to any page on your site that you choose. The page you choose, however, must be relevant to the article you have written. You don’t send a reader to a page on octopi if you have just written an article about giant squid or turtles. One mistake that many authors make is to fail to understand what is allowed in the resource box, sometimes called a bio. Some allow HTML and others don’t. Some allow links and others don’t. If you are not allowed a link to your site then there is little point in providing a directory with a free article. Don’t use these sites, and there are several of those that I have come across. Some directories do not provide a resource box, but allow you to add a few words with your url at the end of the article. It doesn’t matter, as long as you are allowed to provide a link back to your website. 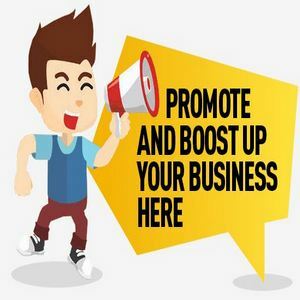 You then get a one way link to your site, but even better in many cases, you also get traffic from people that like your writing and click on your link to visit your website for more information. Depending on the topic of your article, and how you submit it, that can be a massive short-term jump, or a steady stream over a longer period. The ideal is a combination of each, but that depends on your submission strategy and how many versions of your article you submit. The versions matter, because if you can produce a few versions and submit different versions to different groups of directories, then you will get better results. That is because after a while, the search engines will begin to detect that a number of article directories, and other websites, have the same content (your article). They will then begin to drop some of these from their listings as being less relevant, and this will continue theoretically until there is only one directory or site with your article on it. So make the best of it and submit it to as many article directories as possible for a quick burst of traffic, then write others to keep it going. Rather than write four versions of your article for four sets of different search engines, you are better writing four articles, each to be sent to all the search engines. That works better because I have tested it. Article marketing can be used to increase your website traffic, but you can maximise that increase if you use the directories and your articles intelligently.